Originally published by Gearbox Sports on November 11, 2017. 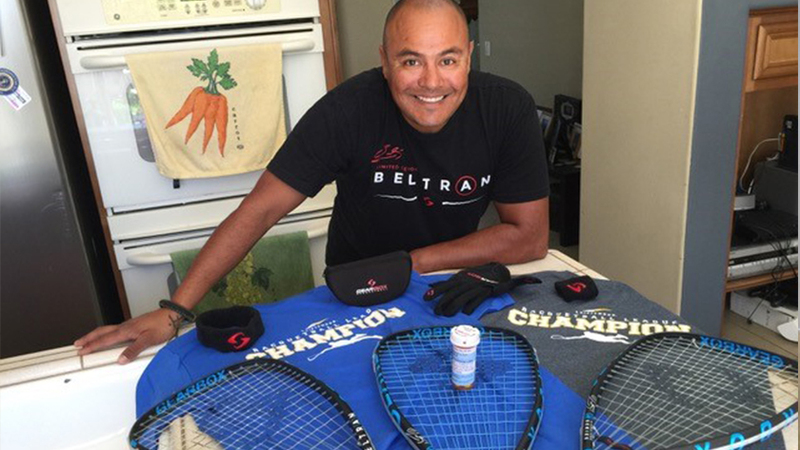 San Diego, CA- Ulisses Palafox was introduced to the game of racquetball in college back in 1993. He played just about every weekend with friends until 1996 when he joined the Marines. At the age of 19, Palafox was assigned to a Special Operations Capable Unit (Fox Co. 2/5 “Blackhearts”). From 2008 to December 2011, Palafox was deployed to Iraq and Afghanistan where he was placed directly in the combat zone. His last deployment was cut short due to injuries sustained after his unit was attacked by two IEDs, followed by small arms fire. Injuries were severe enough to cause his immediate medical evacuation back to the United States. Palafox spent most of 2012 and 2013 in bed, unable to walk, in and out of hospitals and on a list of medications that grew with every doctor visit. Initially, the focus of his care was his physical injuries with less attention to his mental health. It wasn’t until 2014 that someone brought his behavior to his attention. Trained by the military to do a specific job and to do it well, he found it difficult to return home after combat action and simply integrate back into civilian life. Palafox was eventually diagnosed with PTSD (Post Traumatic Stress Disorder). Now faced with the challenges of PTSD, along with his physical injuries, Palafox had to find a way out of what he described as a “dark hole of hopelessness and depression”. At this point, he found himself on an unbelievable amount of medication, as Palafox said, “just to keep breathing”. 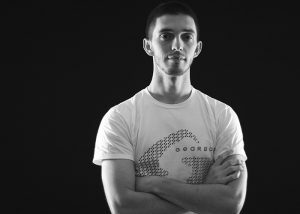 Racquetball became an integral key to his physical and psychological recovery. 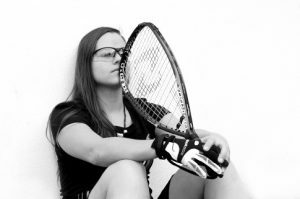 He quickly began to see racquetball as a way to heal. When asked what motivated him to play the sport, he said “the game, the people, the competition, the tournaments, and the overall environment. It provided a much better healing tool than the crazy amount of medicine the VA was providing”.